All you B trackers are in the same boat as us. While we are off track this time I thought Aidan and I would try to do one fun thing together every day. I've decided the fun thing can be VERY simple since I am a very simple person (try and simple being very important words, here). Since the Target by our house opened up Aidan loves getting popcorn and a drink there. SO- our fun thing yesterday was to go to Target and get popcorn and a drink and watch the rain from the eating area. I had a coupon for the food court so Aidan and I got two large popcorns and two drinks for one dollar! Woo hoo! 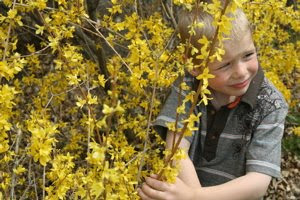 The picture I am adding with this was from our trip to Logan a couple of weekends ago but I loved this one of Aidan. Hope B track people are enjoying your days!! I should need to thank you for the endeavors you have made in composing this article. I trust a comparable best work from you later on too. fact is told your new writing limits have roused me to create my own blog now. Genuinely the blogging is dispersal its division fast. Endeavor to go on onward to this best essay writing service for any sort of scholarly work of art work.